Covers of Marvin Gaye, Paul McCartney, Simon and Garfunkel and more! 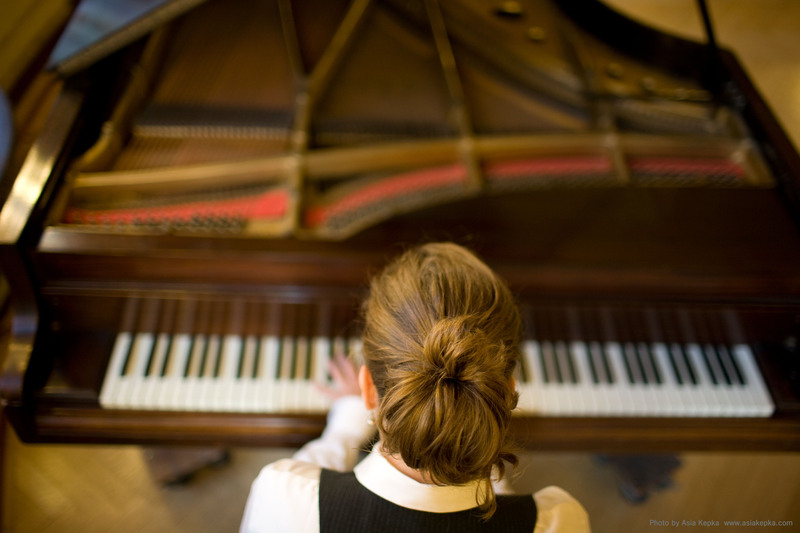 Pianist, guitarist, and singer-songwriter Susan Werner has built a career on performing a particularly potent form of contemporary folk — one which balances a fluid and nuanced sense of delivery with an unusually loose, almost jazzy sense of time in which every moment counts, and can be stretched out to maximum effect. I’ve seen Werner several times throughout her career, in large venues and small, and I’ve always been impressed by her ability to connect with the audience through song, and connect the song to our hearts. But though the power of her classical training is evident in her masterful range of emotion and expert technique as a vocalist and keyboardist, and though the few covers she has performed over the years have certainly benefitted from her ability to perform, Werner is no mere interpreter of song. Her songwriting is wry and intelligent, infusing the everyday with poignancy; her everywoman’s eye gets to the heart of the matter, regardless of whether the subject is personal or political. Her intimate, deliberate delivery, coupled with an eye for ennobling the ordinary, has long made her a darling of the coffeehouse set, where she stands out against so many syncopated strummers as someone who gets a genuine thrill out of giving every moment the meaning it deserves, and who has the precisely honed talent to deliver on that promise. And though her brand new album Classics, released just this month, represents a departure from her usual folk style, it was the promise of this talent, as applied to cover song, which was my entry point for the album. The songs on Classics come from the pop canon of the sixties and seventies; cover fans will find familiar source material here, from Simon and Garfunkel to Marvin Gaye to Bob Marley, and as expected, each song is treated with the vocal power and nuance to make it sparkle and shine. But what makes Classics both unique and noteworthy is the way it doubles up on the usual source material, framing each cover in the instruments and genre settings of chamber and classical music, as performed by members of the Boston Symphony Orchestra and the Boston Pops. The chamber music arrangements add a second layer of coverage, setting popular lyrics and melody in familiar classical styles and motifs just as familiar to the average listener as the pop songs themselves. It’s a daring approach, both as folk and as a sort of mash-up. Pairing Cat Stevens with a Bach string quartet seems like a stretch on paper. Putting Stevie Wonder up against a Chopin piano-and-strings setting sounds less like a productive collaboration than a parlor trick, an intelligent sort of froth doomed to be no more than nifty, and to be fair, until the familiar Chopin refrain kicks in at the end, it’s more parlour jazz than folk. But whether you call this folk or just a product of the folk process from a musician with the credibility of a master’s degree in theory and a decade or more of praxis, in the end, there’s no denying that with the release of Classics, Werner reveals a talent for arrangement which rivals her abilities as a chronicler and performer, pairing the two familiar genres so adeptly, you’d be forgiven for thinking this was the way these songs had always existed, if only in potential. Indeed, Werner is in rare form here, bringing all her various strengths to bear on the project, and revealing new ones in the process. And if, in the process, she reclaims classical chamber music as a real material for the folkprocess, it only demonstrates just how much wonder and power there is left to construct and discover from that process, when tackled by someone with the talent, training, and sheer ability, and a single, startlingly new concept. But don’t take my word for it. Here’s a few streams from Classics, shared with permission…followed by a collection of older covers, and the usual bonus coverfolk. 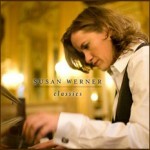 Head over to Susan Werner’s website for a few more streams from the album, and then pick up your own copy of Classics. …and today’s bonus coverfolk, which features two lovely covers of Susan Werner originals by folk trio and festival darlings Red Molly, who formed around an afterhours campfire after a late-night mainstage session that included Werner herself. Special thanks to fellow fan and Star Maker Machine contributor Susan for helping me out with so many of the covers posted today. Serendipitously, Susan even posted one of my favorite Susan Werner originals over at SMM to close out our week of train songs — those interested in following the thread should definitely head on over.